The tube plug and tube metal should always match. Fiber plugs require minimal driving since they tighten as they come in contact with water, but fiber plugs should not be subjected to temperatures exceeding 105°C (221°F). 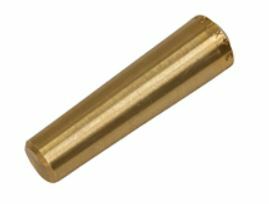 Tube plugs are packaged 10 per box, except 1 1/2-inch Outer Diameter or larger plugs which are packaged individually.